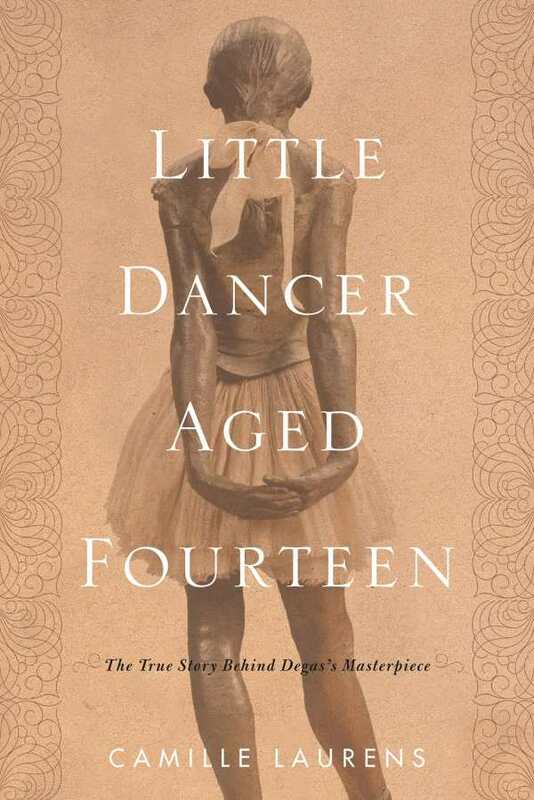 Little Dancer Aged Fourteen illuminates a slice of art history with ravishing acuity. Camille Laurens examines Marie van Goethem, the young model and dancer of Degas fame, in a tribute that melds research with quotations, intelligent inquiry, and the underside of the Paris Opera in the nineteenth century. In rhythmic translation, the face behind the sculpture puzzles and beguiles. From the first exhibition of Little Dancer to the bohemian arrondissement where Degas worked to the backstage tragedies of girls known as “rats,” who were pushed into dancing out of poverty and then into sexual trysts with would-be patrons, Laurens vividly recreates an atmosphere where childhood, as it’s now regarded, never existed, and where Degas, despite being grouped with the impressionists, sought a realism that sparked outrage. Sections that detail the reception of Little Dancer contextualize the negative responses. Laurens makes a case for the ways in which class, fear, and desire braided into critics’ perceptions. Forays into physiognomy, naturalism, Degas’s unusual choice of wax for his medium, and the reviled, revered status of dancers offer possibilities for the mindset of the period. More than considering the sculpture, the book is a fascinating tour through the past. As much as biographies provide an outline for Van Goethem’s and Degas’s lives, the unknowable—their intentions, thoughts, and feelings—takes on elusive qualities that inspire speculation. When the author considers what the model and artist’s first studio encounter must have been like, the extended scene becomes a canvas for larger questions on creativity. At times, the fusion between the two figures stretches, and the author candidly admits her tendency to imagine. In a distinctly literary third act, the author weighs her own choices in the text, as well as the ineffable Marie who inspires obsession. This exploration of a work Degas never intended to endure reveals how an instant frozen in time can yield perennial questions.